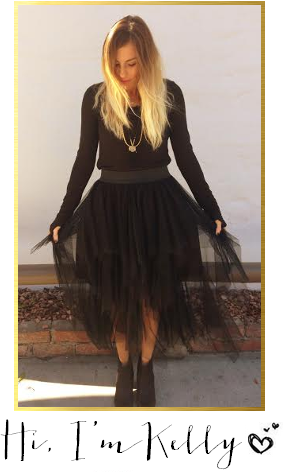 am linking up with Kori of Blonde Episodes for Fashion Friday! So today I wanted to show you one of my new dresses that is very trendy right now. The funniest thing about this dress is I didn't even try it on when I saw it & normally I would never ever do that, especially when shopping at a boutique.....but the dress was just so freaking cute. The colors were perfect for spring, there was so much intricate detail & it was different than anything i had seen before...i was in love. The dress is from one of my favorite stores in San Clemente,CA - the Lincoln Street Boutique...& don't worry girls their website is in the process of being made & then you'll be able to go online & purchase from their site which is aaamazing for all my blogger lovers across the states because trust me you need to shop this store! I've talked about it before but I'll say it again, i love this store. Not only are the prices very reasonable but she really takes her time & purchases stuff that is unique. There is always something for everyone in the store. Not to mention the displays are perfect & so inviting....Mendy is the owner & she is so fabulous & trendy. Of course because I'm in the store a lot she knows me & my style so when I went in to purchase my pink pants ONLY she just had to show me this dress that was perfect for me. so fun right?! what are your thoughts on the short in the front, long in the back style? would you ever try this look? let me know your thoughts....& do yourself a favor & go and LIKE their facebook page because they post daily new merchandise. soooo I have a special challenge for you...i have gotten a few emails/comments/tweets from other readers & bloggers about them embracing their messy hair...so here's my challenge: go as long as you can without washing your hair & then send me a picture of you embracing the mess & let me know what day you are on...i want to see how many of you actually can step out of your skin & embrace the imperfections in life...& with your permission i would love to blog all my lovers who embrace the mess! Can we use dry shampoo for the challenge or is that cheating!? I'm on Day 4 of no washing - but I've used dry shampoo twice, and I may have flat ironed a little bit ;-) BUT I will do messy hair next week! As for that dress, it's adorable. It reminds me of Mexican dresses! Kelly!!! i love that dress! its beautiful and super summerful. and i think its funny your messy hair challenge! Love it! I will admit--I embrace messy hair far too often. oh my i am on day 5 of no washing my hair right now! i should have takin pictures! :) ill start next week haha. um my hair would literally look wet from the grease after 4 days. I could never ... well i could but it would be absolutely unbearable. I think I have the greasiest hair in the history of greasy. It literally get's so greasy after 12 hours and it gets so itchy and gross and smells. But I do go like every other day with out washing it but i just put it in a bun. Only because I am sooooo lazy and I hate doing my hair. I think we have VERY similar hair. My hair waves like yours. Anywho - that dress is so super cute! I Love it and TGIF! Okay that is so so so cute. It's so unique ( like most your clothes). Did I mention how fantastic it looks on you also. I have a few summer dresses I have not worn because it's a little chilly. What kind of coverup can be paired with summer dresses like the one your wearing? I think the dress looks absolutely adorable on you...so summery! Reminds me of carefree summer days... you're rockin' it! *wink* Ack, I don't think I could embrace my messy hair...it gets soo greasy even after one day...I always have to wash it! 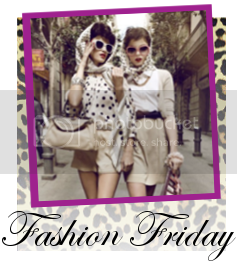 Stopping by from Fashion Friday!!! Popped over from the Fashion Friday link up :) Woukd kill for your awesome blonde locks too. You know I accept ;) I live by this!! I adore that dress!!! I don't wear dresses that often, but I would totally wear the longer in the back than in the front. I have a big ole booty, so i'm always worried that I will stand up and the dress will be hiked up in the back and show my rear to the world. So that style would be perfect for me! I love that outfit!! and I wish I had it in me to embrace the mess.. but my hair is so fine and thin it looks like an oil slick after only one day of not washing! It's terrible!! I meant to tell you DAYS ago when you posted this that I LOVE this dress! You look fabulous in it! I have a confession. I wash my hair. every. single. day. I don't remember the last time I didn't wash it. Can we still be friends? def a light jean jacket! its a must have! thanks for all your sweet comments Kate! xoxo & thanks neely!